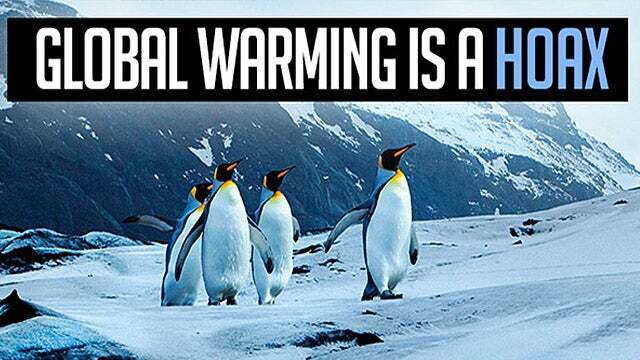 RUSH: Do you remember the global warming stories of years ago that they focused…? There was this little island in the South Pacific, and it was shrinking, and they went out there and they had this mayor standing on… It was like a polar bear on a shrinking iceberg. They had this mayor standing what was left of town hall or what. Global warming, rising sea levels were about to swallow up this poor little guy’s island nation. And it was used to show that climate change is happening and this is just a precursor what’s gonna happen New York. There’s a problem. This island nation is called Tuvalu, and all of a sudden it’s growing. It’s expanding. It is getting bigger. It’s popping up out of the ocean. It is getting back to where it was. And this is confounding the climate change crowd. It doesn’t make sense to them. This should not be happening. 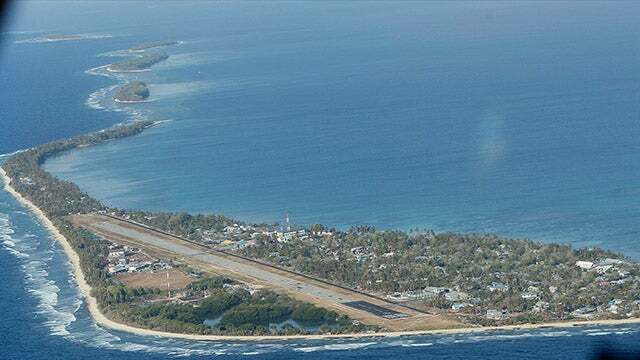 There’s an accompanying story on this little sinking Pacific island nation, Tuvalu. It’s near Australia. It’s right next door to Samoa and Fiji. It’s right there in the South Pacific. And, folks, 60 Minutes went out there. Everybody went out there be. This little guy that runs the island, political leader, is crying and talking about how climate change is destroying his island nation, and the cameras are showing the tides and the sea level and the waves crashing, and they’re counting the days before this little island doesn’t exist. And there’s nowhere for the people to go! “What are the people gonna do? They’re gonna be drowning! They’re gonna be flooded!” It was accepted that this is climate change. This is sea level rising. Even though it’s not supposed to happen for 30 years, it was blamed on Antarctica melting, and it was dire and it was doom — and it has since been forgotten about. Now all of a sudden: “The Pacific nation of Tuvalu … is actually growing in size, new research shows. “A University of Auckland study examined changes in the geography of Tuvalu’s nine atolls and 101 reef islands between…” Speaking of this, Bikini Atoll is in this. It’s where Fox News gets the blondes. Bikini Atoll. There’s 101 reef islands in there and they’re all coming back. They’re all growing. They’re sprouting out of the ocean. It’s like they’re coming back. It’s like the sea levels are receding. Do islands really rise and fall? Well, depends. They can. (laughing) It isn’t? Sun’s not a factor in climate? Anyway, nothing’s going these people’s way. Tuvalu is coming back. “Climate Change Just Got a Little Less Terrible — A new analysis rules out the worst-case scenario, but without radical change, we’re still in plenty of danger.” That’s the subhead. I… (laughing) This is just… I love this stuff. When it doesn’t infuriate me, I love this, because it’s so ridiculous. “Climate Change Just Got a Little Less Terrible.” There isn’t any! How about that for a story? How about, “Climate Change Is as Made-up and Phony as the Steele Dossier”? That’s the way to do it! “Climate Change Is as Made-up and Phony as the Steele Dossier,” and pretty much that’s true. It’s been manufactured and created by a bunch of corrupt so-called scientists. “There are some 20,000 research papers listed on Google Scholar, a search engine for academics, that mention the worst-case scenario for climate change, one where an overpopulated, technology-poor world digs up all the coal it can find. Basically, it’s the most cataclysmic estimate of global warming. “This scenario is important to scientists. It focuses minds on the unthinkable and how to avoid it. IBT: Scientists Warn of Unusually Cold Sun: Will We Face Another ice Age?